SEO Vs. Inbound Marketing: What’s the Difference? Search Engine Optimization, or SEO, is a huge issue for companies looking to get found online. SEO is a kind of measure of how attractive your website is to the different search engines, such as Google, Yahoo!, and Bing (but mostly Google). The better your SEO is, the more likely you are to rank high in search engine results pages (SERPs) when potential customers search for related terms. Visitors you get through SERPs are often called “organic visits,” because you didn’t have to specifically reach out to them. just to name a few of the tasks involved. One of the big challenges with SEO is that the best practices are always changing. Search engine companies like Google are constantly refining their search algorithms to help guide users to the content that will be most meaningful to them—meaning that something which was good for your SEO last year might not work so well the next. Each of these tasks are broad enough to warrant their own blog posts. The ultimate goal of doing all of this is to drive website traffic, leads, and customers. While inbound marketing and SEO both share a goal (bringing people to your website), they aren’t one and the same thing. Inbound marketing is a broader concept that incorporates numerous strategies—and SEO happens to be one of them. SEO is a part of an effective inbound marketing strategy—not the strategy itself. It’s like the difference between a building’s foundation (SEO) and the building as a whole (Inbound Marketing)—the foundation is a critical part, but you still need walls, a roof, and many other pieces too. Optimizing your website for search engines might be a foundational piece of your marketing strategy, but it isn’t the only thing. Companies that only do SEO are missing out on huge opportunities to generate leads and business. Rather than exclusively focusing on SEO to the detriment of your other marketing efforts, consider using SEO as a part of your larger inbound strategy. For example, when creating new content for your website, whether it’s a new web page or a blog post, take into account SEO issues such as keywords, links, images, metadata, and more. This will help get the new content ranked higher on SERPs so you get more visits and conversion opportunities. But, since there’s more to driving engagement with your brand online than just SEO, it’s important to do more than just optimize your website. 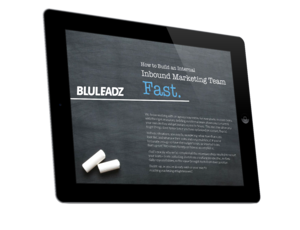 A true inbound marketing strategy involves creating campaigns, staying active on social media, making compelling content offers, and keeping in touch with your contacts through lead nurturing. Making SEO a part of your inbound marketing efforts can help you get better results—so be sure to take the time to learn more about SEO and keep up with the latest trends. Moz.com’s SEO blog. The folks at Moz are masters of SEO, and have numerous resources for helping you learn all about how to optimize your site for search engines—such as their blog. Moz also has a few free tools for SEO and local marketing you can use. Google Keyword Planner. Keywords and keyword strategy is a critical component in SEO & inbound marketing. Google’s “free” keyword planner is a great tool for helping with your basic keyword strategy. I put the “free” in quotes because if you don’t have an active AdWords campaign, Google does restrict some features of their keyword planner. HubSpot’s Website Grader. Need a quick and dirty analysis of how well your website’s put together? HubSpot’s free website grader provides a fast assessment of your website’s SEO and how you could improve it. Literally millions of people have used this tool to assess their websites. Using tools and resources such as these can help you learn about important changes to SEO best practices (which happen all the time) and improve your inbound marketing efforts. Need more help with your SEO and inbound marketing? Well, that’s what we’re here for—so don’t hesitate to contact us for a consultation or to ask a question.